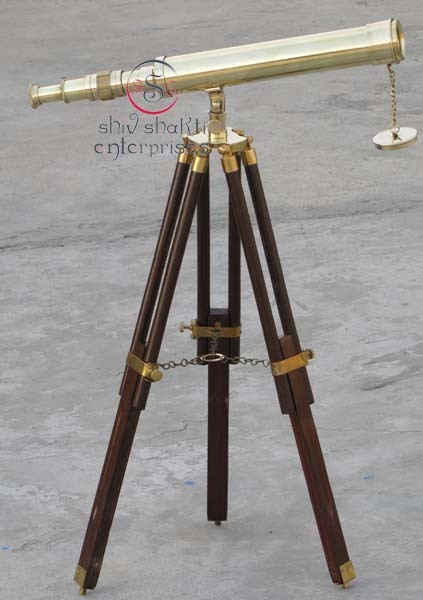 ﻿Nautical double barrel nautical telescope with view finder is a beautiful solid brass refractor telescope mounted on a wooden tripod. 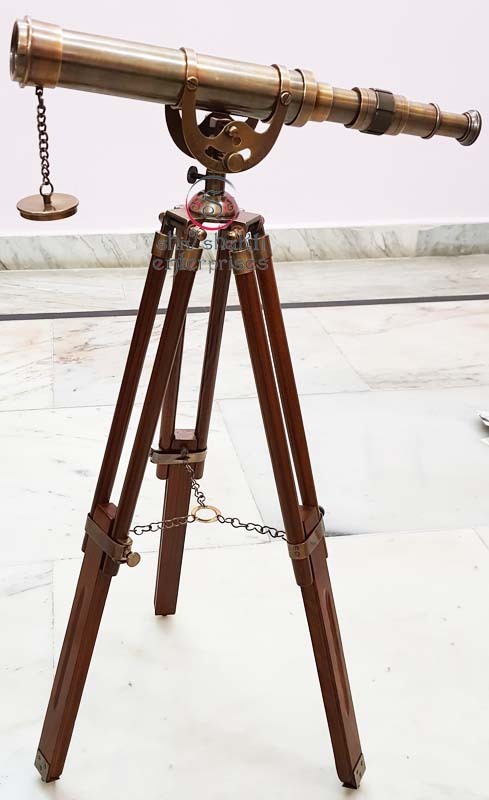 This telescope is a beautifully functioning nautical masterpiece that can give as a gift at any occasion or placed in your home, office. 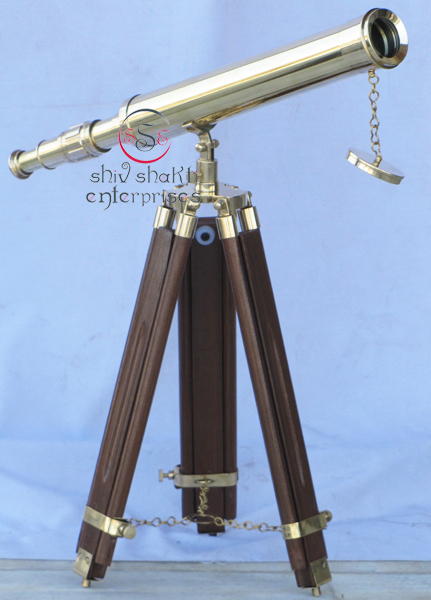 ﻿Beautiful harbor master 1mt long brass telescope in black antique mounted on sheesham wood stand. 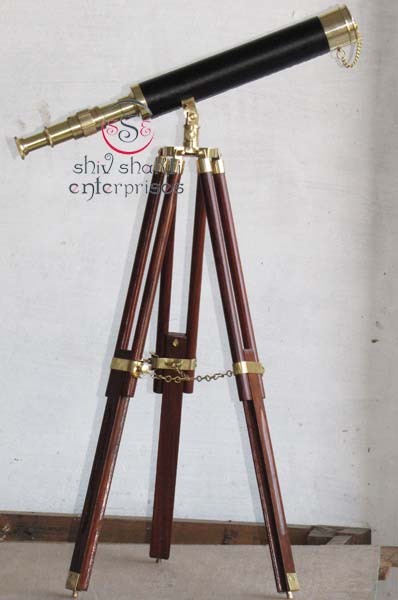 This telescope is a beautifully functioning nautical masterpiece that can given as a gift at any occasion or placed in your home, office or bar. This is the best gift for collectors. 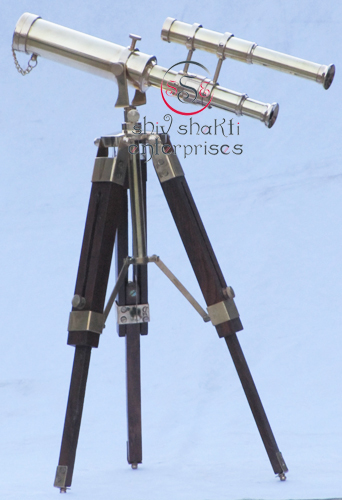 A best quality telescope. 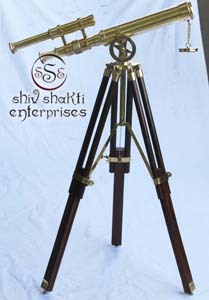 ﻿﻿Superior quality nautical telescope on tripod stand. Ideal to grace the balcony, library, conservatory or drawing room of a fine house. This telescope is a beautifully functioning nautical masterpiece. This telescope is usend for decoration. 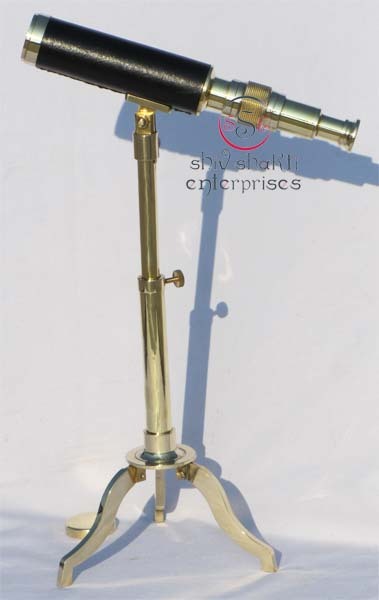 ﻿Our company is one of the leading companies that manufacture, supply and export a wide range of brass nautical telescope to meet the requirements of our customers. 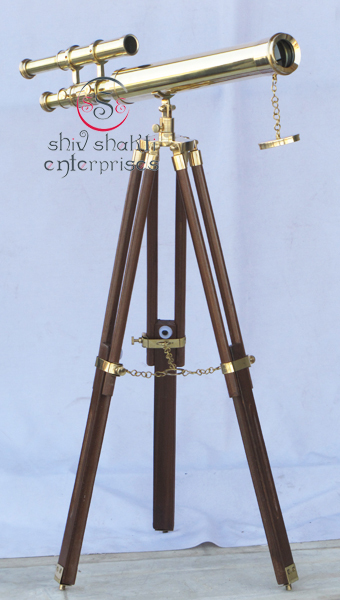 ﻿This wooden stand is chain stand.﻿ This is the high quality polished telescope. This wooden stand is made of best quality. ﻿This telescope is a beautifully functioning nautical masterpiece that can give as a gift at any occasion or placed in your home, office. This is the high quality polish telescope. A beautiful gift for collectors. This wooden stand is lock stand. Its used for high quality telescope. ﻿This telescope is a beautifully functioning nautical masterpiece that can give as a gift at any occasion or placed in your home, office. This is the high quality polish telescope. All work is hand made & beautiful gift for collectors. This wooden stand is chain stand. 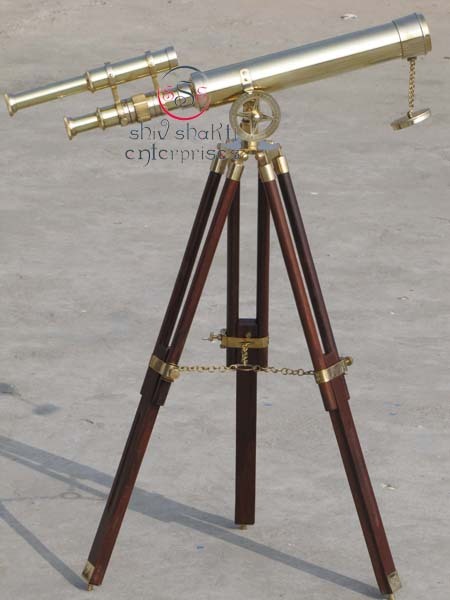 Its used fror high quality telescope. Telescope Length:- 44.5m. & Ht:-66cm. 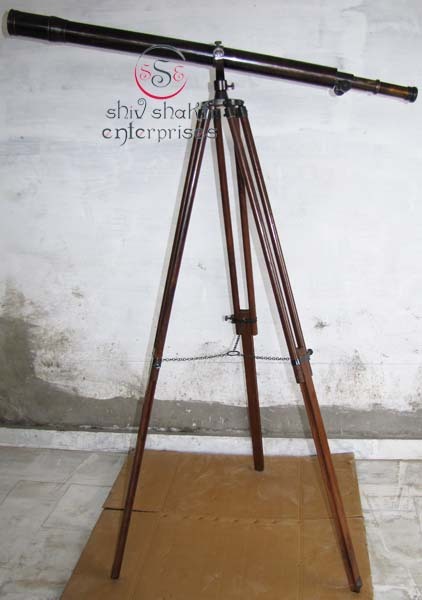 ﻿This nautical telescope is designed for display. 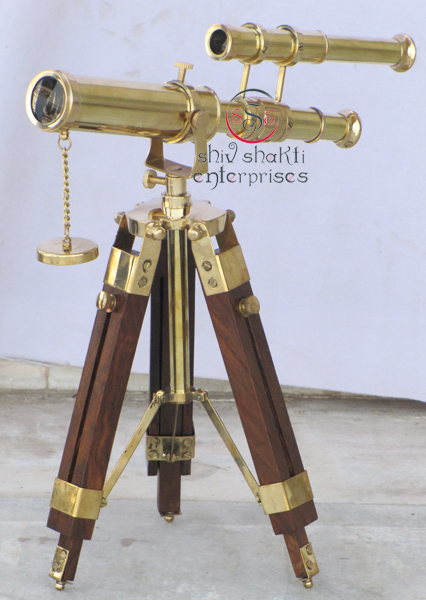 We are manufacturer and exporter of antique telescopes made brass. 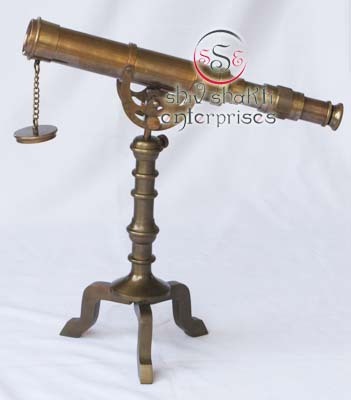 We have wide range of antique telescopes. 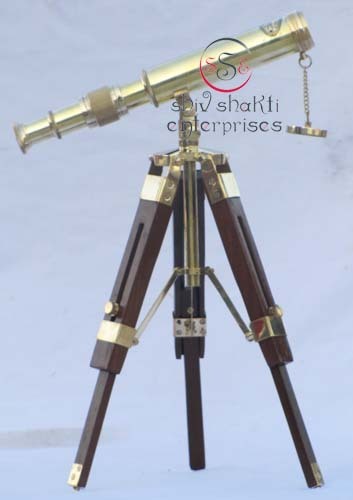 ﻿This telescope is a beautifully functioning nautical masterpiece that can give as a gift at any occasion or placed in your home, office.This is the high quality polish telescope. All work is hand made. A beautiful gift for collectors. This wooden stand is chain stand. 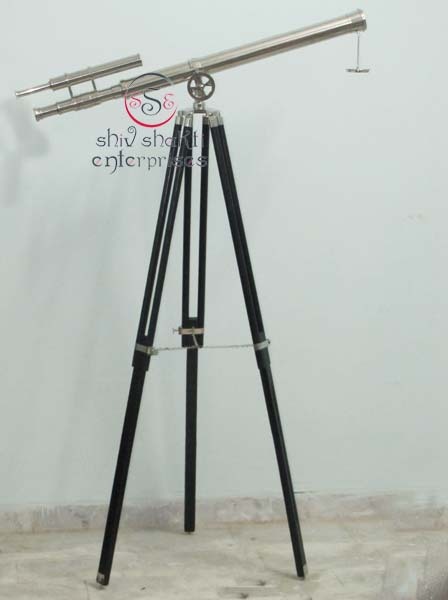 Its used for high quality telescope. 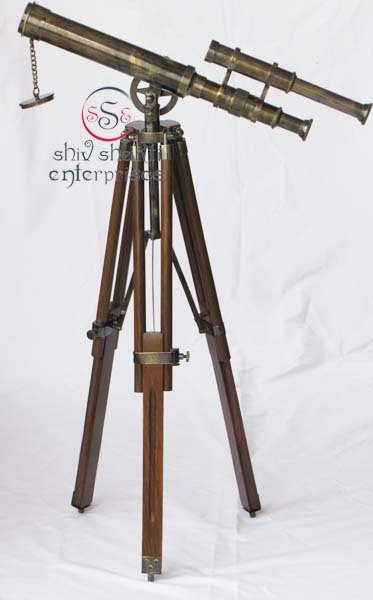 ﻿This nautical telescope is designed for display. 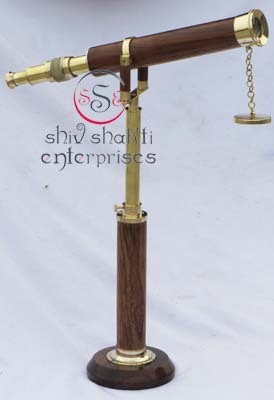 ﻿We are manufacturer and exporter of antique telescopes made brass. 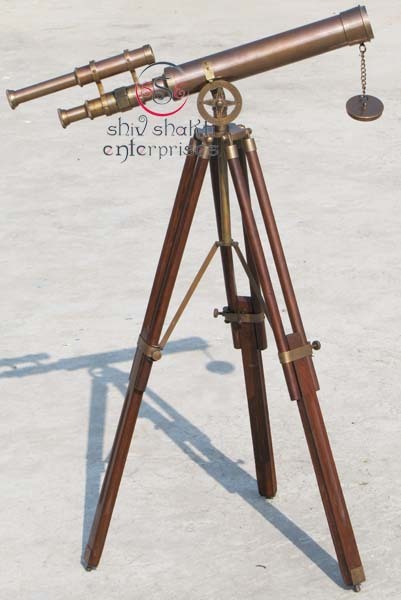 We have wide range of antique telescopes. 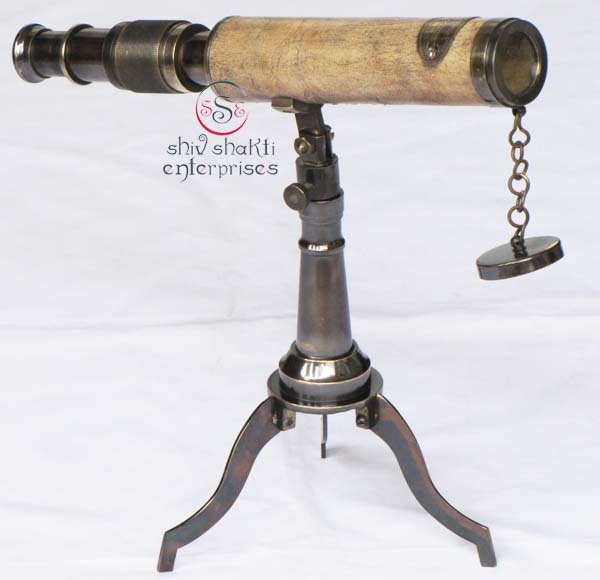 ﻿This telescope is a beautifully functioning nautical masterpiece that can give as a gift at any occasion or placed in your home, office.This is the high quality polish Telescope. All work is hand made. A beautiful gift for collectors. Its used for high quality telescope. 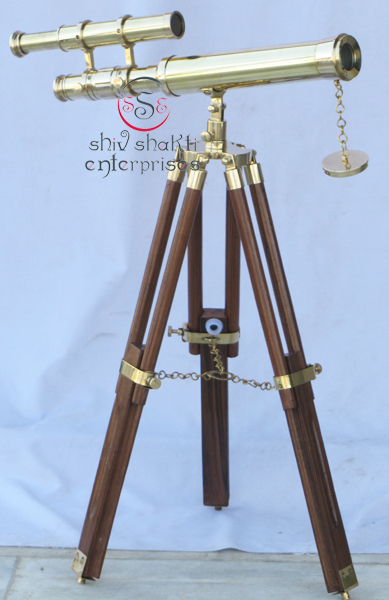 ﻿This telescope is a beautifully functioning nautical masterpiece that can give as a gift at any occasion or placed in your home, office. This is the high quality polish telescope. All work is hand made. A beautiful gift for collectors. Its used for high quality telescope. 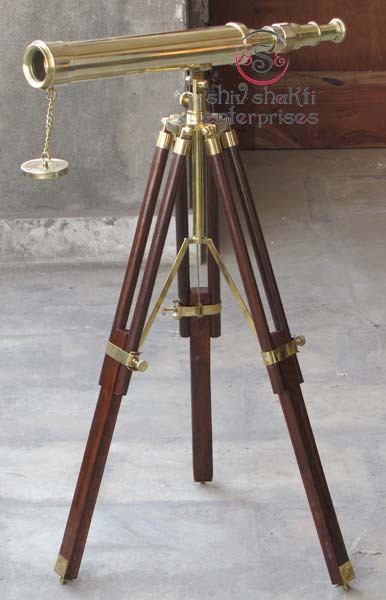 Superior quality nautical telescope on tripod stand. 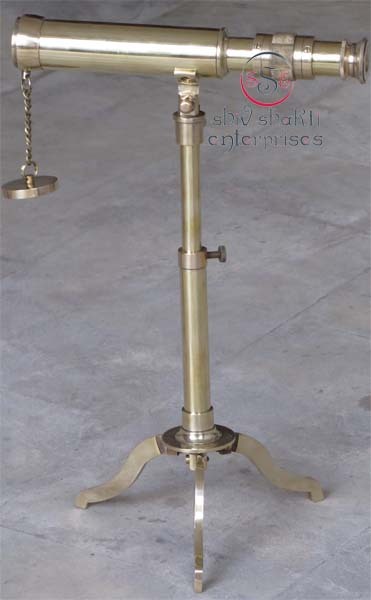 Ideal to grace the balcony, library, conservatory or drawing room of a fine house. This telescope is a beautifully functioning nautical masterpiece. This telescope is usend for decoration. 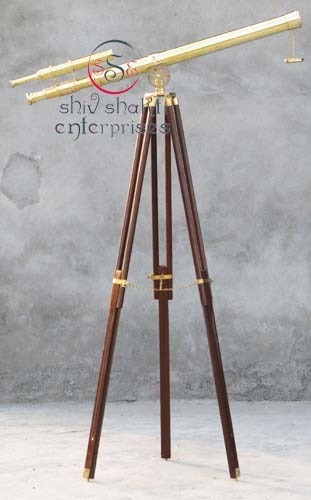 Superior quality nautical telescope on tripod stand. Ideal to grace the balcony, library, conservatory or drawing room of a fine house. This telescope is a beautifully functioning nautical masterpiece. 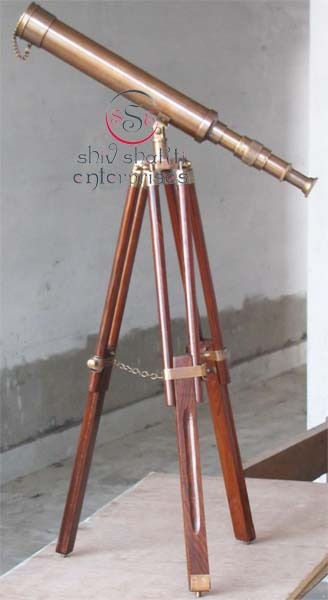 This telescope is used for decoration. 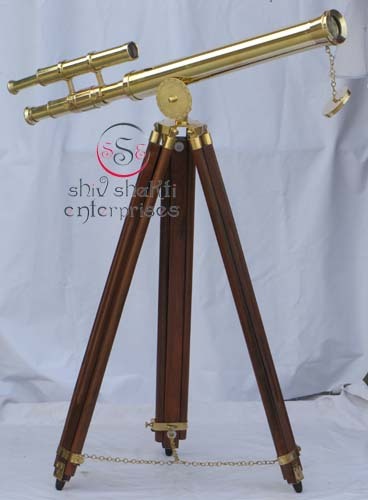 This telescope is a beautifully functioning nautical masterpiece that can give as a gift at any occasion or placed in your home, office.This is the high quality polish telescope. All work is hand made. A beautiful gift for collectors. Its used for high quality telescope. 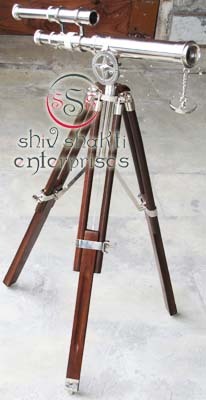 Telescope Barrel Close- 33cm, Telescope Barrel open- 36cm, Pipe- 18.8cm, When Stand open- 55cm & When Stand Close- 39cm﻿. This telescope is a beautifully functioning nautical masterpiece that can give as a gift at any occasion or placed in your home, office. This is the high quality polish telescope. All work is hand made. A beautiful gift for collectors. Its used for high quality telescope. This telescope is a beautifully functioning nautical masterpiece that can give as a gift at any occasion or placed in your home, office. This is the high quality polish telescope. All work is hand made. A beautiful gift for collectors. Its used for high quality telescope. Its used for high qality telescope. 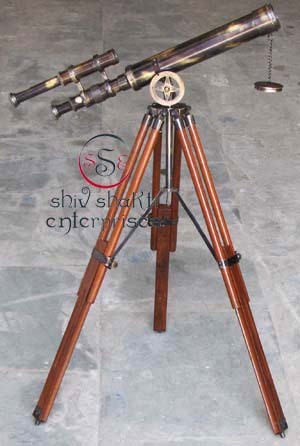 Superior quality Nautical Telescope On Tripod Stand. 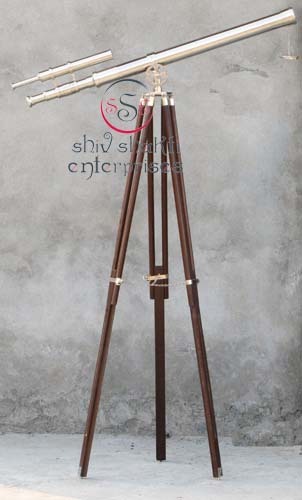 Ideal to grace the balcony, library, conservatory or drawing room of a fine house. 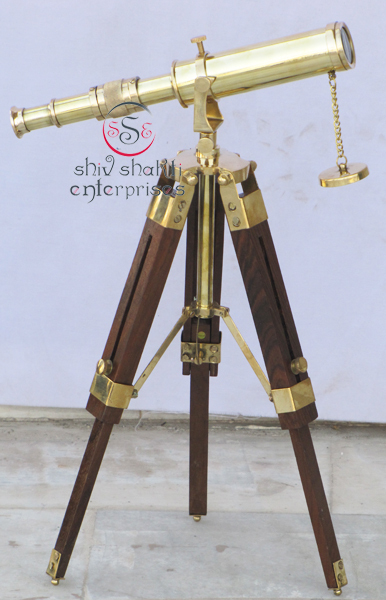 This telescope is a beautifully functioning nautical masterpiece.This telescope is used for decoration.